In one of his first actions, Secretary of Defense James Mattis ordered reviews for the Air Force One and F-35 Joint Strike Fighter programs, two projects that President Donald Trump has criticized as wasteful government spending. After Mattis was sworn in by Trump, Pentagon spokesman Captain Jeff Davis released a statement to the DOD website that explained the purpose of the separate reviews was to “inform programmatic and budgetary decisions,” and provide the president with recommendations on critical military capabilities. The memos did not specify if the review would reduce the number of aircraft that were planned. Before taking office, Trump criticized the budgets of both the F-35 Joint Strike Fighter program and PAR program, which he promised to reduce. 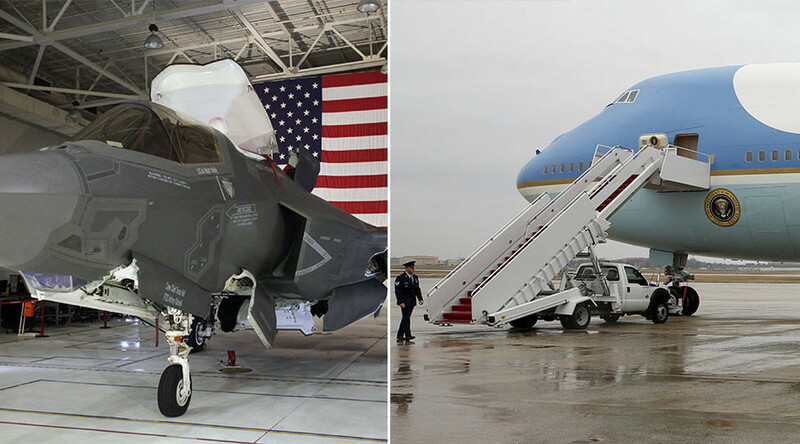 The government contracts to build two new Air Force One planes were expected to cost $4 billion by 2024, while the F-35 Joint Strike Fighter program has been criticized as one of the most expensive weapon systems ever created, with an estimated cost of $1 trillion for 2,457 aircraft by 2038, according to the Government Accountability Office. Following a tweet that Trump posted calling costs for the Air Force One planes “out of control,” Boeing CEO Dennis Muilenburg met with Trump and promised he would build the planes for less. After their meeting at Trump Tower in New York, Lockheed Martin CEO Marillyn Hewson said that she would not only work to make the fighter jets at the “lowest possible price,” he would also plans to add 1,800 jobs at its plant in Fort Worth, Texas, where the F-35s are built.